The popular file hosting service in the cloud MediaFire has launched its official application for Android. 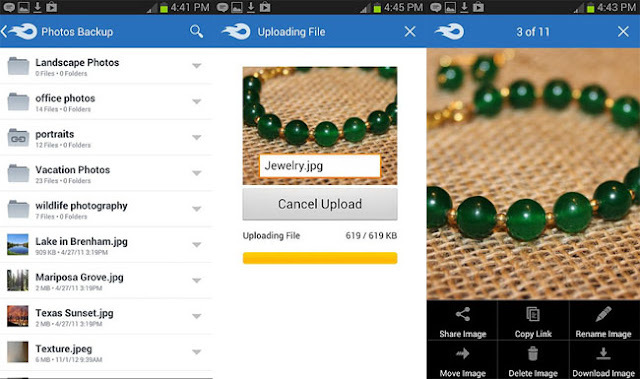 Finally we can comfortably manage and access your files from anywhere thanks to our Android devices. MediaFire for Android allows us to upload any file to their servers through your file browser, download files , create and manage folders, take and upload photos and videos from within the application, from your browser search files, share files and configure your privacy. MediaFire offers 50 GB of free storage but limited to a maximum of 500 MB per file. If we fall short on storage that give their free accounts can hire one of their storage plans .